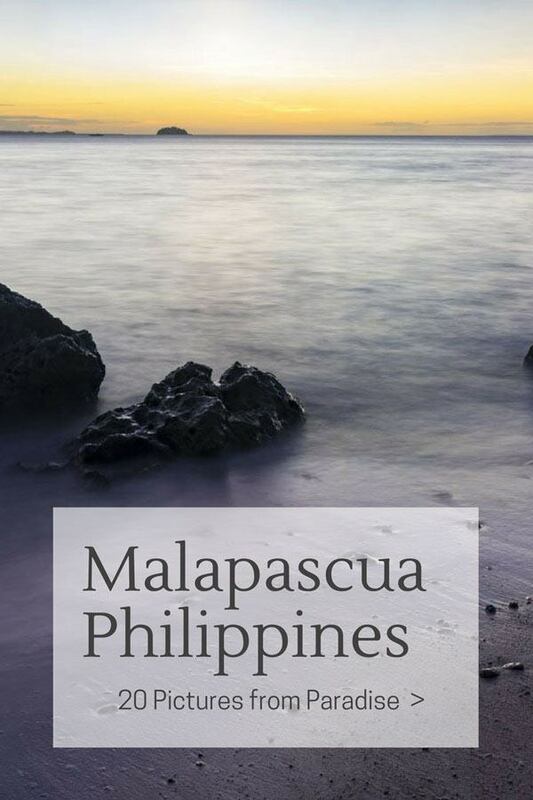 Welcome to Malapascua Island, a true paradise in the Philippines. If you followed our month in the Philippines and read our travel stories, you may have noticed that I refer to everywhere as ‘paradise’. Well, it is in a way. 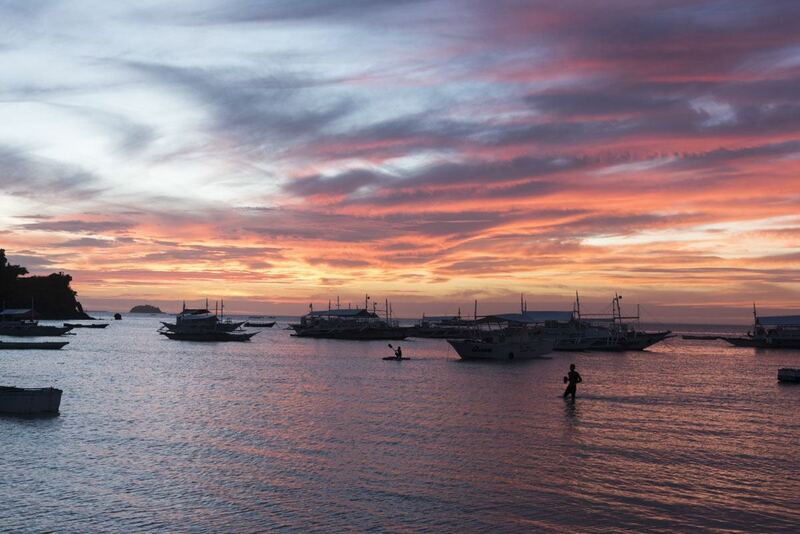 And each place is different, in its own way – but Malapascua truly is a place I loved with all my heart. 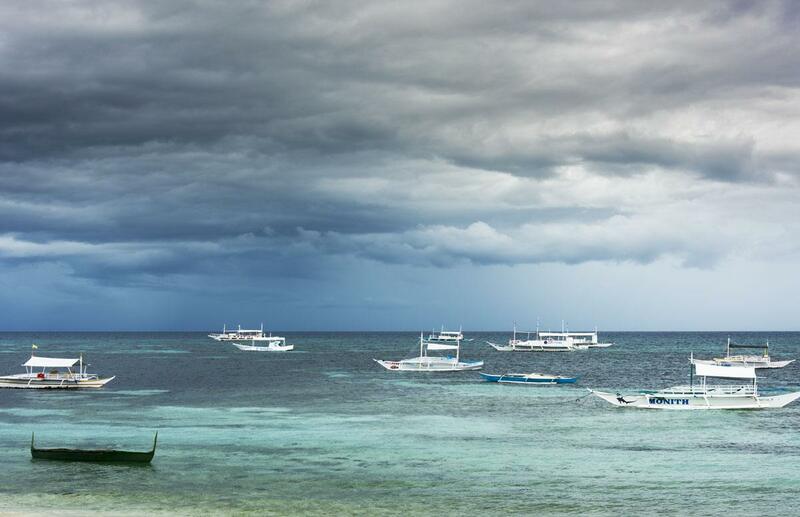 We reached Malapascua on a stormy day. It rained non-stop the whole way to the island – the sky was stacked with angry clouds, of a deep grey that looked almost purple. We got soaked to the bone on the bangka, the traditional Filipino boat that took us from Maya, the northernmost tip of Cebu Island, to Malapascua itself. 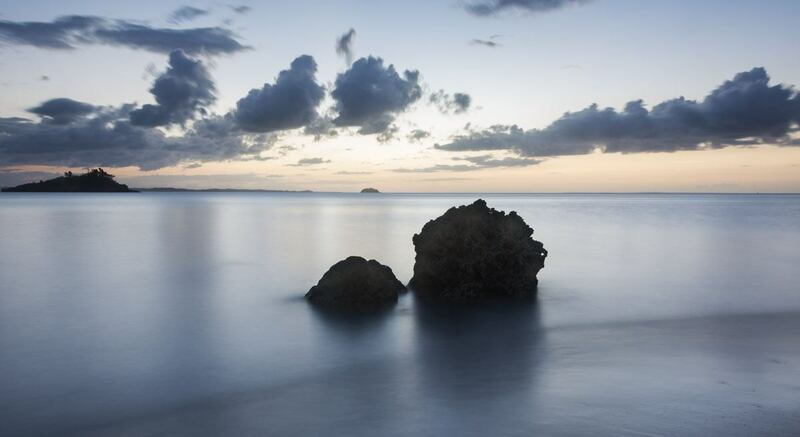 I thought it was a weird coincidence – the name ‘Malapascua’ means Bad Easter and the island took its name from a huge storm that happened on the same day the Spanish landed there for the first time in the 1500s, on Easter Day. 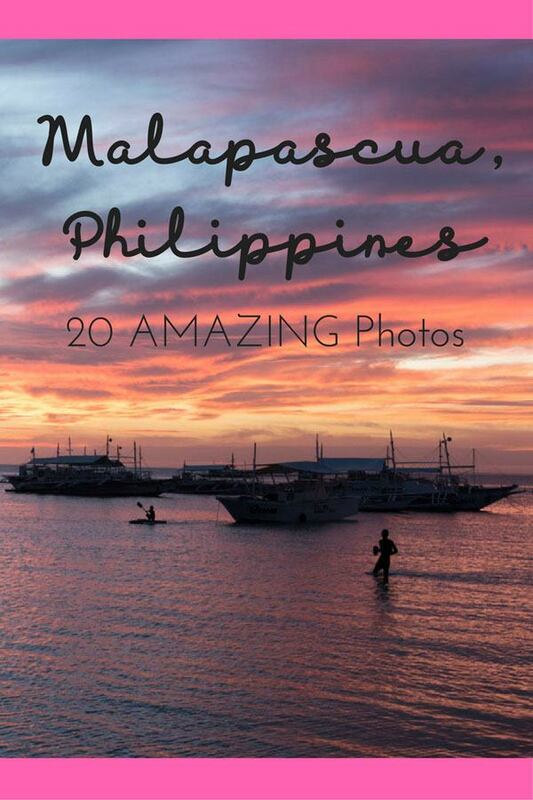 Malapascua was also one of the worst victims of Typhoon Yolanda (also known as Haiyan), the deadliest in history, that virtually devastated the island in November 2013. The island was right in the middle of the typhoon’s path – buildings were levelled, palm trees were uprooted and the once-pristine beaches filled with debris. On a BBC article, a local described the aftermath of Yolanda as if ‘a giant had stepped on it’ – all landmarks were gone. The deluge on our arrival was the last rain we saw during our week in Malapascua. Our days were marked by the slow rhythm of island life – we woke up with reggae music streaming into our windows, made breakfast in our guesthouse kitchen, and spent the day diving or exploring the island. 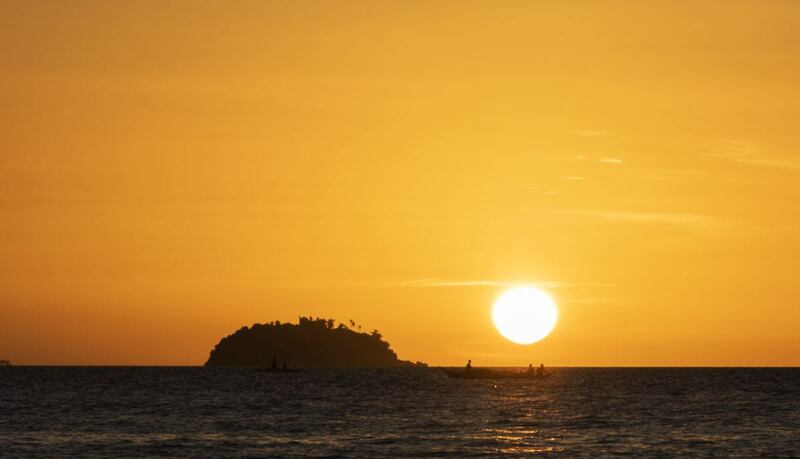 We never missed sunset – every single day we would head to a different beach, just as the sun was about to come down, and we would bid farewell to the day looking at the sun paint the sky a thousand different colours. It seemed incredible that the island was virtually annihilated only 2 years before our visit, yet it recovered so quickly. For most people, the main reason to visit Malapascua is diving with thresher sharks. Just off the coast of Malapascua Island there’s a dive site called Monad Shoal, a sunken island that is used by thresher sharks as a ‘cleaning station’. The sharks skin hosts a number of parasites – every morning at sunrise the sharks swim up to Monad Shoal to be cleaned by schools of wrasse, grooming the sharks and feeding on their parasites. Spotting thresher sharks is not 100% guaranteed on Malapascua – but your chances are very high, higher than anywhere else in the world in fact. Thresher sharks normally live between 300 and 500 meters deep, and move closer to the surface only to get clean. It is thanks to Monad Shoal and the thresher sharks that Malapascua is on the tourist map – divers started visiting in the 1990s, and nowadays there are dozens of dive shops all around the island. Sharks visit year round, regardless of the weather, and the typhoon didn’t affect their behaviour at all. 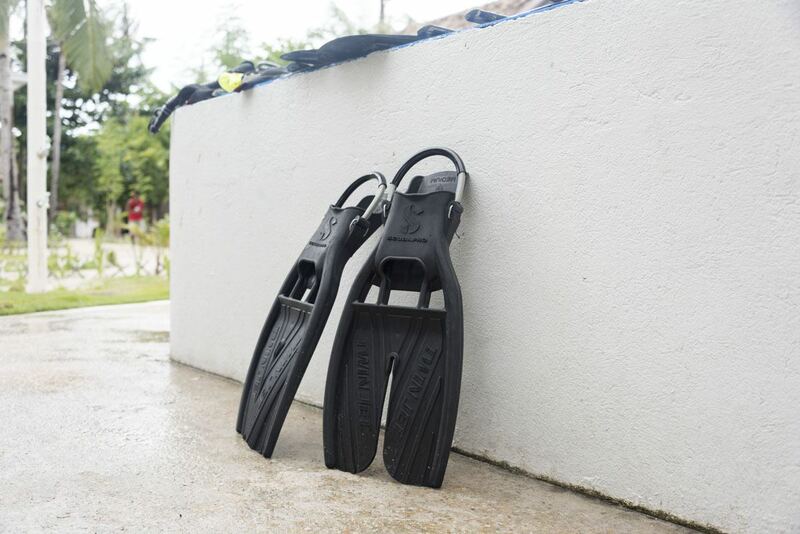 Shortly after the typhoon, divers started coming to Malapascua once again, bringing with them much-needed tourist dollars, which in turn helped rebuild the devastated island. At the time of our visit, damages from the passage of Yolanda had been fixed, and tourism was up and running once again. Check out the sea – nice, right? 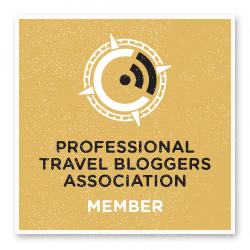 And when I say ‘tourism’, I don’t mean large groups of package visitors. Tourism on Malapascua Island was – and continues to be – low key. The island has developed sustainably, maintaining is chilled village vibe, with no cars and no huge concrete monster hotels. 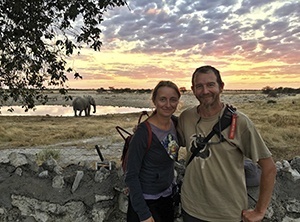 Accommodation is in beachside guesthouses and dive lodges, and nature-related activities – above and below the waves – are what draws people to the island year after year. 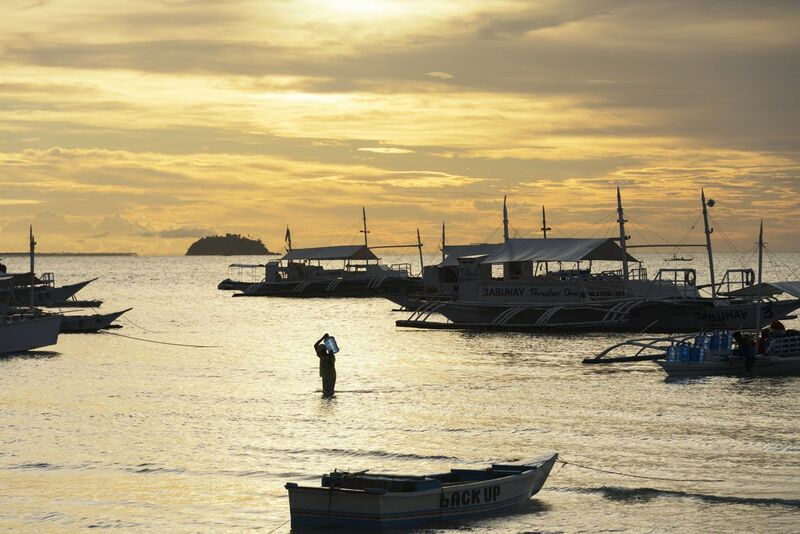 Malapascua seems to be one of the few islands in the Philippines to have truly understood the value of ecotourism. Sadly, there are several examples of unsustainable tourism practices in the Philippines – such as the fake ‘tarsier sanctuaries’ in Bohol, and the debate surrounding swimming with whale sharks in Oslob. Luckily, Malapascua locals are aware of the importance of thresher sharks, and have fully understood that keeping the sharks alive and preserving their habitat is more profitable than killing them. Up until a few decades ago, sharks were routinely hunted. Demand from the shark fin industry was high, and it was easy to catch ten or more on a single outing. When divers started visiting in search of thresher sharks, locals saw a business opportunity, and stopped hunting sharks. Many former fishermen opened diving schools or became dive guides. Nowadays, Malapascua island is definitely ‘thresher shark central’ – there are wooden thresher shark souvenirs for sale, thresher shark murals around the village, and every other guest house and dive shop seems to have ‘thresher shark’ in its name. If you want to do your part to protect the Malapascua thresher sharks, you just need to visit and go diving. 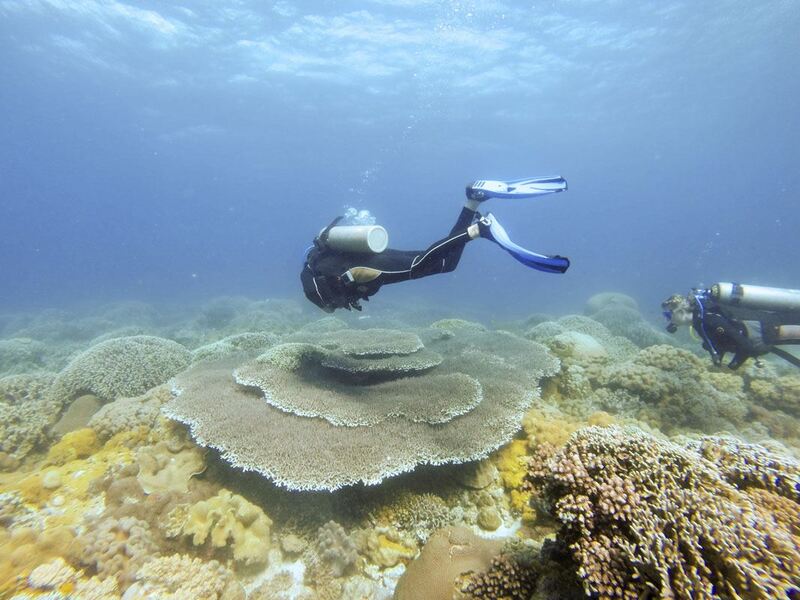 All divers heading to Monad Shoal pay a ‘conservation fee’, that is used to maintain the dive site and protect it from poachers. 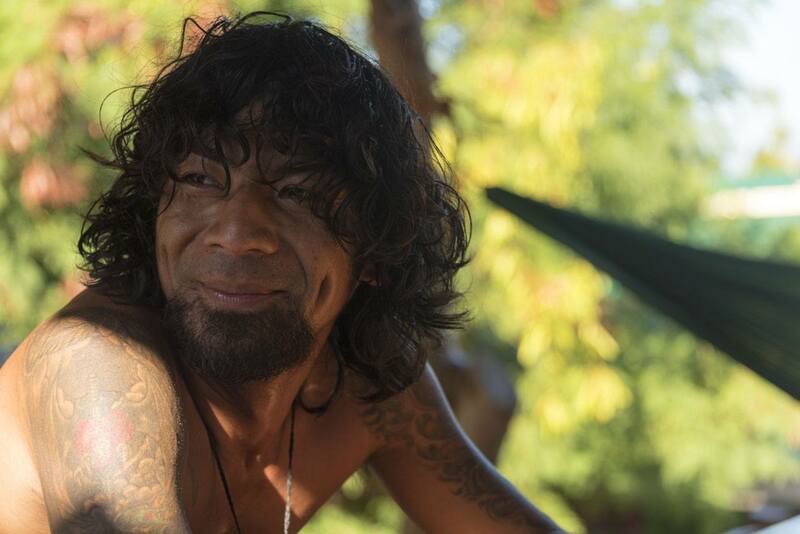 Yes, because Malapascua locals do know how important it is to protect these creatures, but fishermen from neighbouring islands that do not benefit directly from the diving industry still see thresher sharks as a quick and easy way to earn money – and so poaching, sadly, is still practiced. 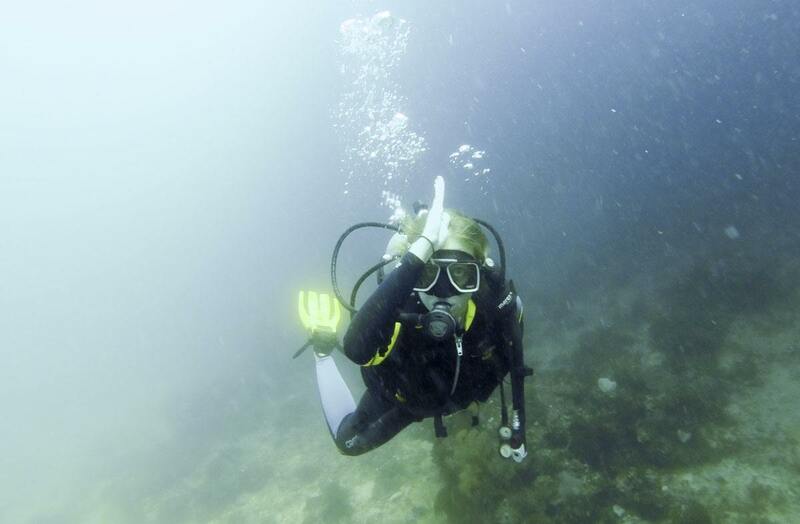 More importantly, diving with thresher sharks is a completely eco friendly and sustainable activity. Unlike whale sharks, which are driven to specific locations with food and motorboats to allow tourists to swim with them, there’s no alteration to the natural behaviour of thresher sharks in Monad Shoal. Sharks visit because they know the wrasse are there and they want to get clean. Divers are asked to keep at a distance and stay behind protective ropes, so as not to bother the sharks. From what we could see, the rules are strictly enforced. 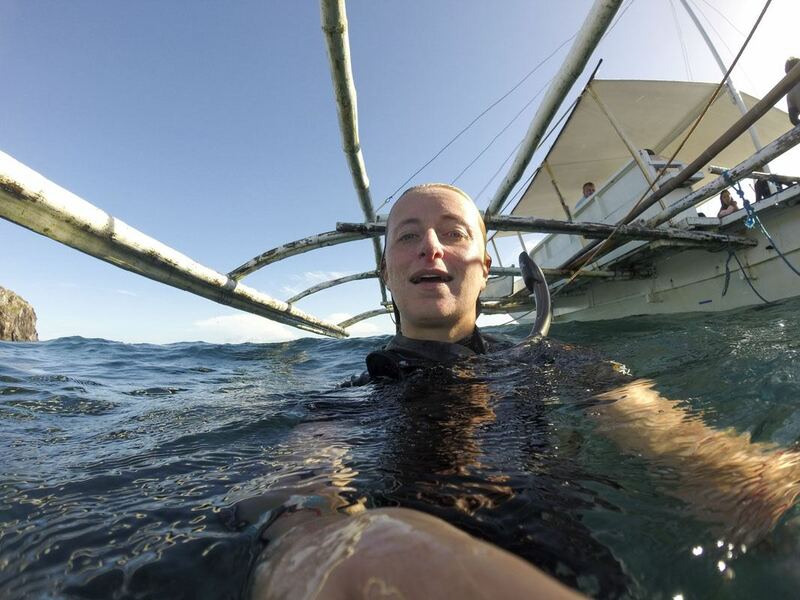 No one swam up to the sharks or pushed their selfie sticks past the ropes. Monad Shoal is large enough to fit several divers, so it didn’t feel crowded at any time. Yet, thresher sharks are not the only reason to come to Malapascua. Gato Island is another stunning dive site in the vicinity – a small rocky island crossed from side to side by a tunnel, perfect for a great – and a little spooky – cave dive. White tip sharks often gather at the exit of the cave, making for another awesome diving experience. Dive shops also offer outings to Kalanggaman Island, one of the most beautiful sand banks in the Philippines, and to the Dona Marilyn, the wreck of a passenger ferry that sank almost 20 years ago. 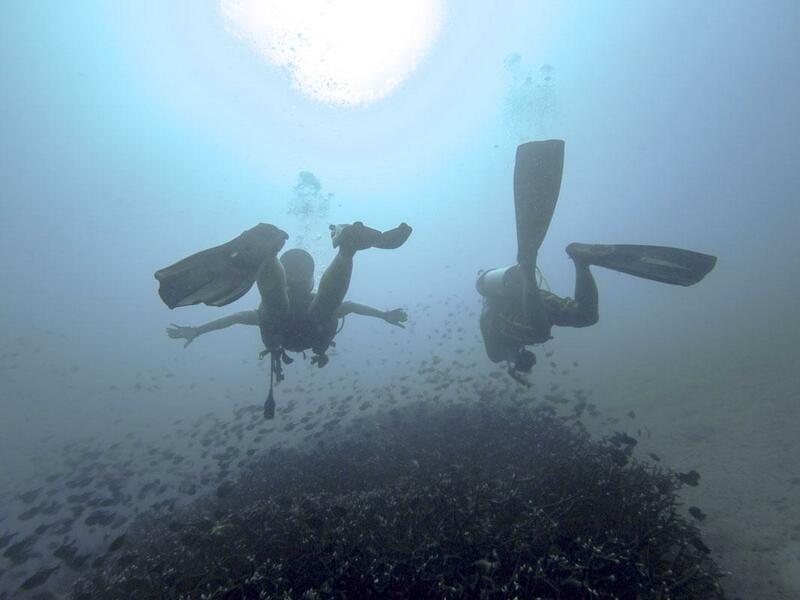 If you’re not diving, Malapascua Island is still a wonderful destination. The island still has an ‘undiscovered’ feel, and it’s not overrun by tourists. 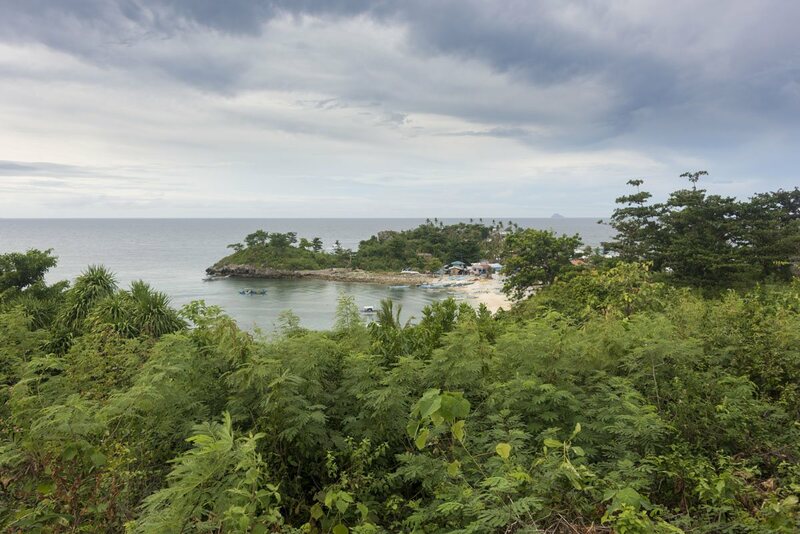 There are several amazing beaches – our favourite was not far from Malapascua’s main village, just behind a tiny cemetery. 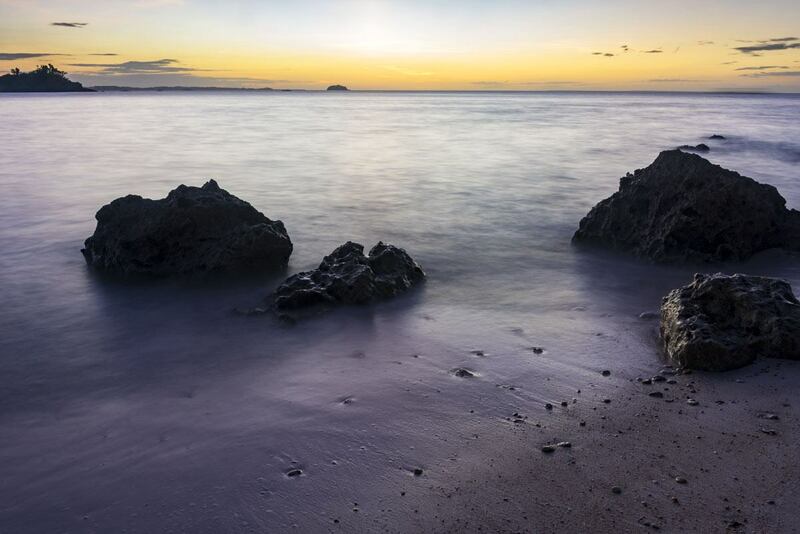 It’s a place where you can slow down, disconnect and spend your days immersed in nature, snorkelling or just walking around – the whole island can be crossed on foot in just a couple of hours. A week was barely enough to experience Malapascua. Just like Jericoacoara in northeastern Brazil, Malapascua is not about the sights. It’s about being there, about waking up with the breeze wafting through your guesthouse window and spending the day surrounded by some of the most beautiful nature . And about knowing that, by visiting and diving in Malapascua island, you’re helping further a sustainable tourism model – one where visitors become witnesses of nature, protecting it instead of altering it for their own entertainment. Happy after an amazing dive! Getting to Malapascua from Cebu is pretty straightforward. 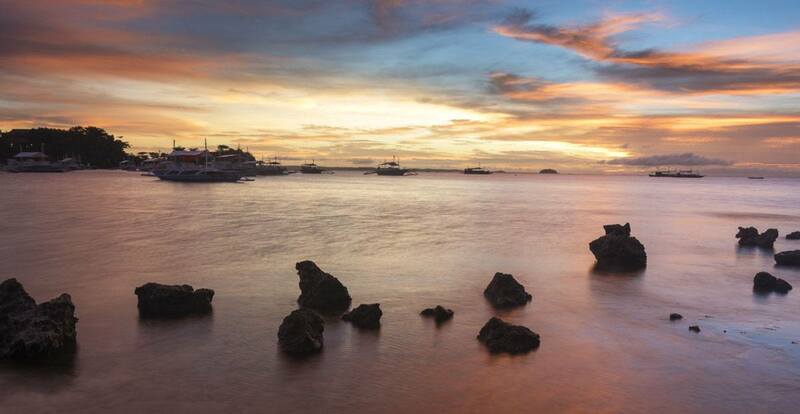 Many Malapascua guesthouses and dive shops can organize a transfer from Cebu-Mactan airport or from Cebu City. If you want to DIY, here’s how to do it. First of all, catch a taxi or a jeepney to the North Bus Station in Cebu City and ask for a bus to Maya – departures are frequent, about every hour or so. 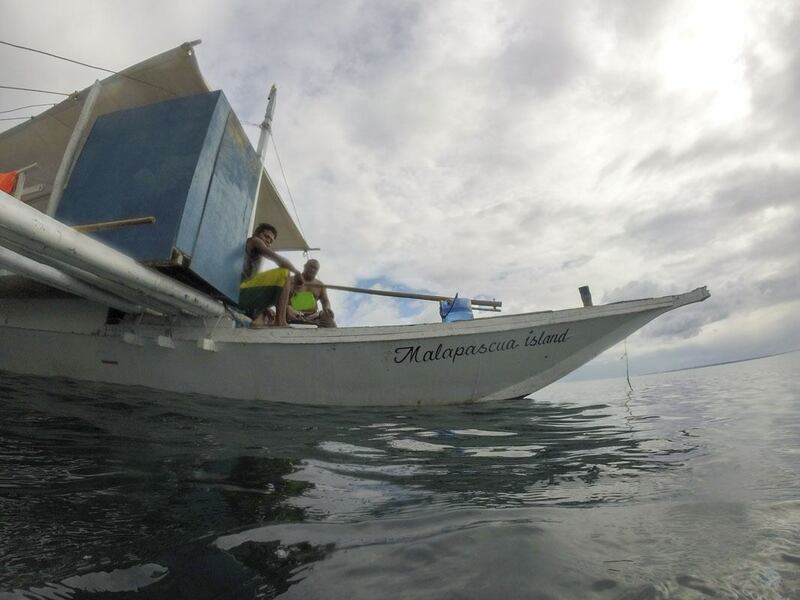 If you want to get to Malapascua on the same day, you’ll need to leave in the morning – we left our hotel at 8.30 am. The cost of the bus was 165 PHP in late 2015. Aircon buses charge about 200 PHP, and the journey takes about three hours. The bus will drop you off at the Maya pier, on the northernmost tip of Cebu Island. That’s where Malapascua-bound boats depart from. They depart when full, and there’s no set schedule. Tickets cost 80-100 PHP per person. Boatmen may try and overcharge you or convince you to charter a full boat – just refuse politely. Boats run until 3-4 pm, so try to get to Maya well before that to avoid being stuck. If the tide is low, the boat won’t make it all the way to the shore and you’ll be transferred onto smaller boats. These cost 20 PHP per person and per piece of large luggage. 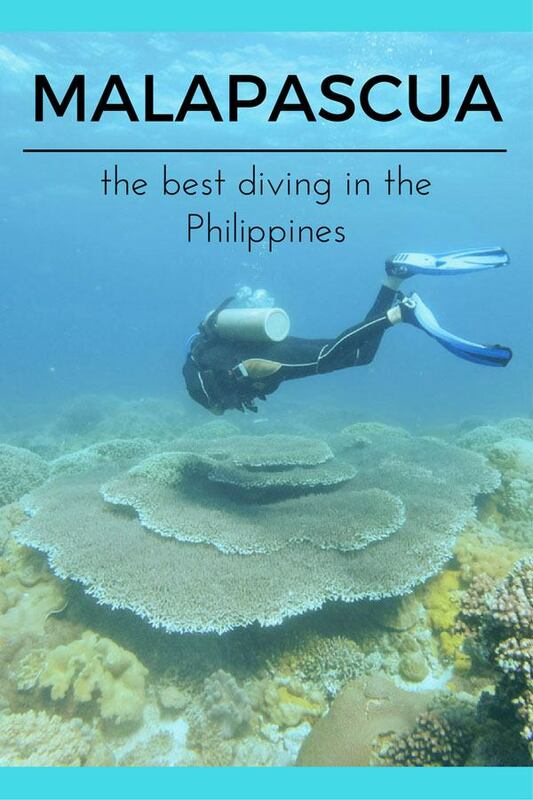 There are dozens of dive shops to choose from in Malapascua, many also offering accommodation. We went diving with Evolution and Thresher Sharks Divers, two of the longest-running diving outfits on the island, and can recommend both of them highly. We were always briefed extensively before each dive and made aware of environmental concerns, equipment was always in great conditions and all in all we had some of the best dives of our life! We did see thresher sharks in Monad Shoal, and white tip sharks in Gato island, but we couldn’t get pictures of them because visibility wasn’t the greatest and our underwater equipment isn’t the best. 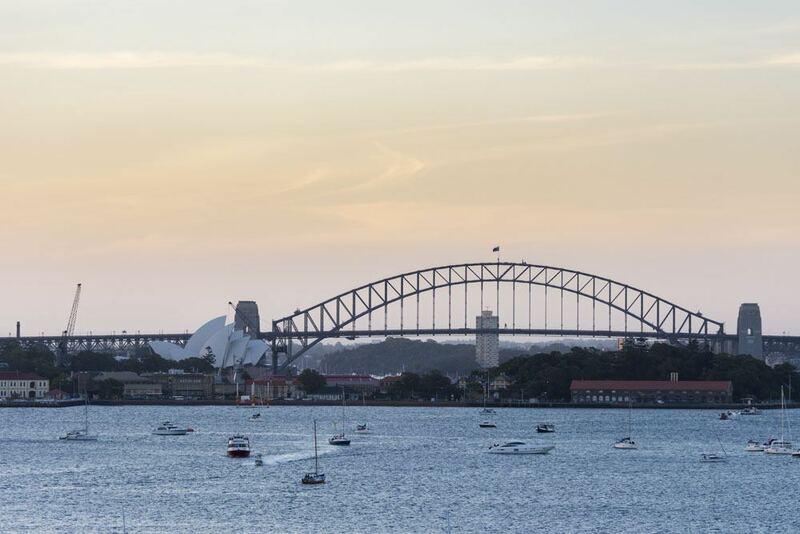 One more reason to come back – with a better camera, next time! We stayed in Villa Sandra Guesthouse, a cute hippy/reggae hostel and one of the few ‘real’ backpacker places in Malapascua. 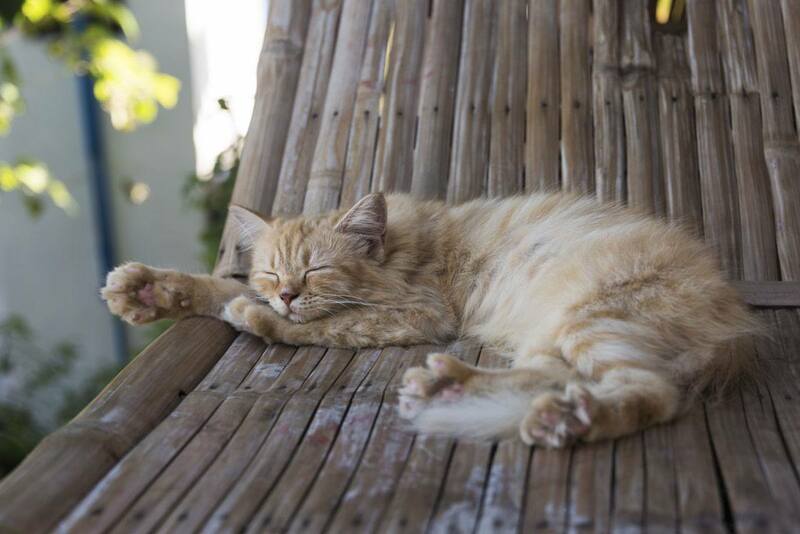 It’s located only about 5 minutes from where boats drop you off, in a lovely house with a garden and patio area with hammocks and a cute little cat, Blendy, wandering around looking for scratches. Villa Sandra’s owner is a local guy called Jun Jun, who told us he opened the guesthouse because he loved hosting people and wanted them to experience Filipino hospitality. First, he just had a big room with mattresses on the floor, separated by curtains – slowly slowly, he built rooms, bathrooms and showers, and a communal kitchen. Jun Jun loves interacting with guests and regularly organises activities like boat trips around the island or barbecues for everyone. Here is the one and only Jun Jun! The only issue is that Villa Sandra is tiny – there are only two double rooms and about 10 or 12 dorm beds, so it fills up quick. Since we visited, Jun Jun has added a treehouse and a vegetarian restaurant to the guesthouse – I’m sure it’s even better now! You can book Villa Sandra on the Hostelworld site – make sure you book early for a chance to stay at this great place! 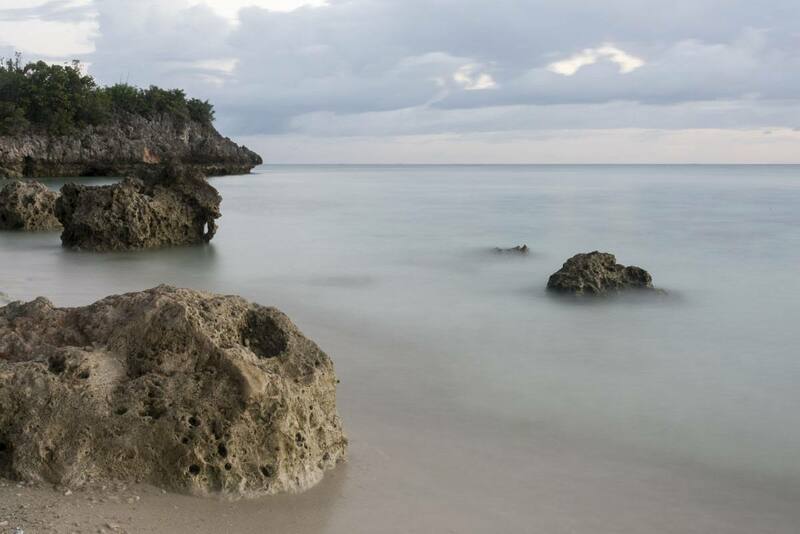 Lovely beachside bungalows on a scenic location, right next to a promontory overlooking a white sand beach. A quiet and romantic option, perfect for couples and beach lovers. Top choice for a beachside holiday! 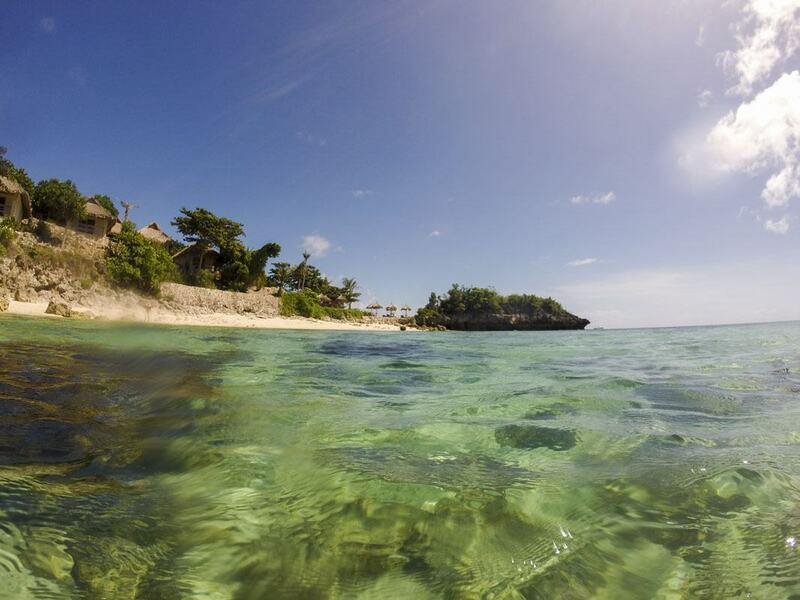 This resort is located on a stunning palm-fringed beach with pristine turquoise waters. 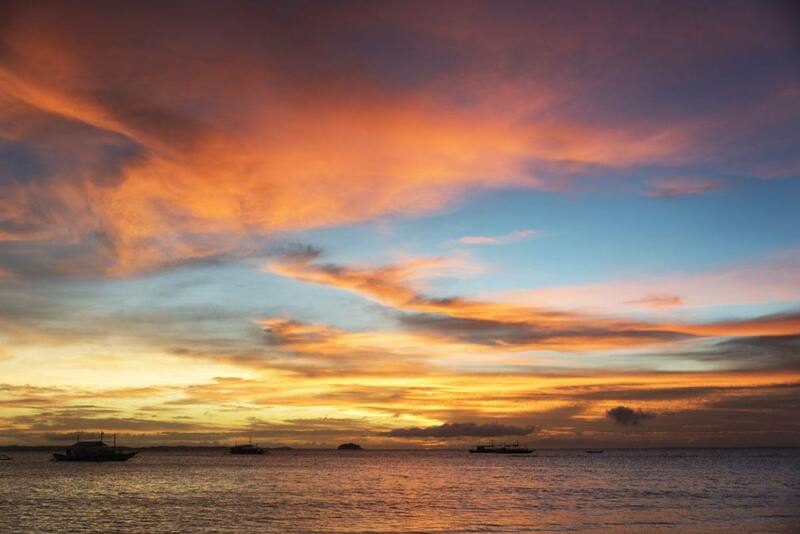 Service is excellent and Malapascua sights are just around the corner! A conveniently located Malapascua beach resort offering easy access to Malapascua village and attractions and a stunning beachside location. 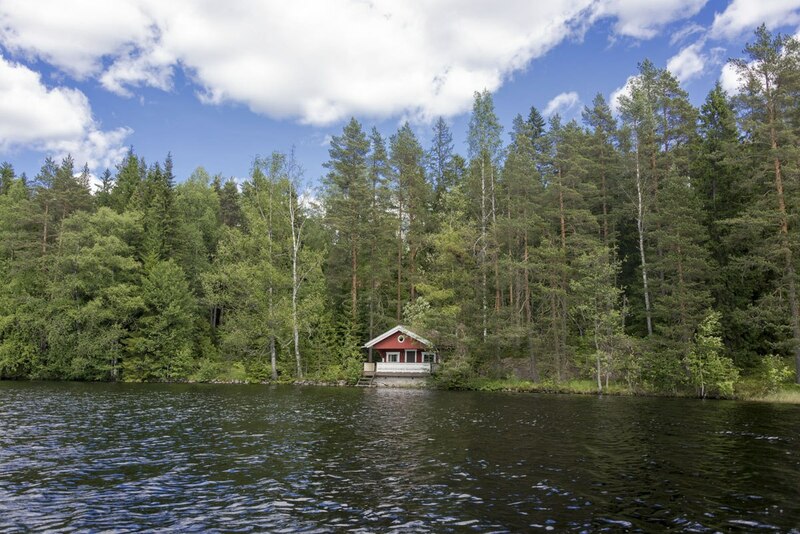 Next Post: The Best Finnish Sauna Experiences – Relax Like a Finn!